Hands down it was the best fishing trip of my life, but that had nothing to do with a rod and reel. 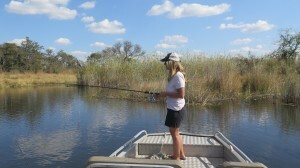 At our first fishing spot on Namibia’s Kwando River we could hear but not see the hippos as we cast our lines. 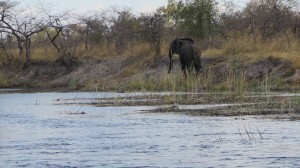 I even made the comment, “this is pretty cool fishing with the hippos.” After an hour and with nothing biting we decided to move on and that’s when we saw a lone elephant on the river’s bank. I took a picture and made a mental note that I was going to tweet it to my pal Mark Potter (The NBC reporter who loves to fly fish and where I was the fly fishing is awesome, so I was told.) I knew Mark would appreciate that not only was I fishing but how I wished he was with me because I bet he’s never been fishing while watching an elephant. It was one of those times when you think it doesn’t get any better than this and then…well yes as the saying goes…. it does. With no fish tales to tell we moved on to spot number three and that is when it happened: not only the highlight of the fishing trip but a highlight of my life. 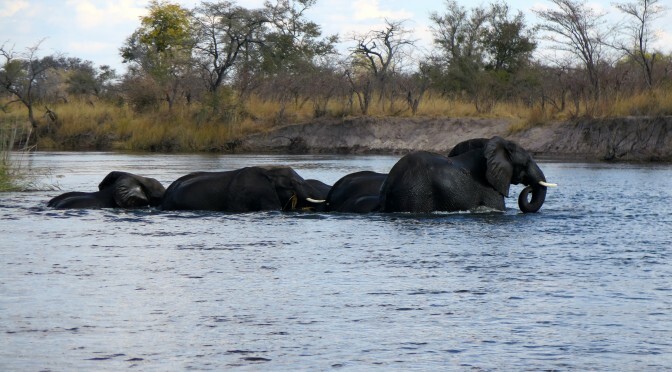 A huge herd of elephants were making their way from Namibia and swimming across the river to the banks in Botswana. 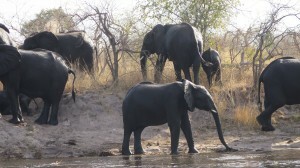 My guide admitted what we were witnessing was rare because the elephants would not have crossed if they saw us before they started the journey. Thankfully we came upon them while the move was in progress. It was so incredible (click her to watch the video) to sit in our small open-air boat just a few feet away witnessing this unexpected and awesome sight. I was so overwhelmed by what I witnessed it silenced me but I know my eyes twinkled and the smile couldn’t be replaced if I tried. 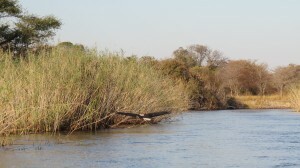 We went to another fishing spot after see the elephants crossing but at the time I could care less about catching the big one, I had my fish tale to tell and my catch didn’t have any fins. Bio: Kim is a former journalist and a member of the Florida Bar. 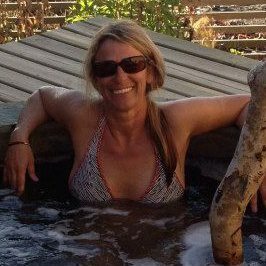 She maintains this travel website for fun.